The Willpower Instinct: How Self-Control Works, Why It Matters, and What You Can Do to Get More of It is a helpful book and is well-connected to scientific research on willpower. If eating, drinking, smoking, or other willpower challenges are interfering with your pursuit of happiness, I highly recommend this interesting and practical book. 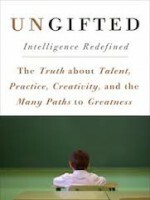 The author uses ten chapters that loosely follow the structure of the class she teaches at Stanford. Chapters include the science, ways to apply the science, and stories of students from her class. Stumbling on Happiness is the book that got me started on the science of happiness, so I’m fond of it. However, it’s focused on how we are poor at understanding and predicting our own happiness. It isn’t very focused on helping the reader become happier. 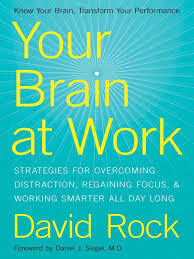 If you need an organizational change process that truly engages employees for best success, this is an excellent book. In Terms of Engagement: New Ways of Leading and Changing Organizations Richard H. Axelrod describes how the old model of organizational change simply doesn’t work well, and suggest a new approach that involves more people and together create the vision and actually design the work. He draws upon neuroscience as well as his own work experiences. The Courage Quotient: How Science Can Make You Braver, by a renowned happiness expert (and full disclosure: my coach), takes up the unusual and important topic of courage. It’s short and focused. It’s grounded in research. It can be helpful to those seeking to increase courage. One minor question I was left with is the statement in the book (page 9) that “Courage is morally valued.” He goes on to say that “Mugging is not an example of courage because it lacks an important component: moral value.” I failed to be convinced by his description. I feel that while we don’t admire muggers, they are every bit as courageous as someone who jumps in to save a stranger from a mugger. Despite this minor issue I wanted to be better resolved, this is an interesting and helpful read. The Happiness Hypothesis: Finding Modern Truth in Ancient Wisdom features a wonderful analogy of rider and elephant for our prefrontal cortex and rest of brain. If you want a good mix of science and ancient wisdom, this is an excellent book. Many books are about change. Switch: How to Change Things When Change Is Hard is one of the best. It extends the elephant and rider analogy used in The Happiness Hypothesis to come up with a succinct summary of the research: “Direct the rider. Motivate the elephant. Shape the path.” These amount to: give clear instructions to your prefrontal cortex, so there’s no room for analysis paralysis. Motivate the rest of your brain that is in control at least as much as your prefrontal cortex. And change the environmental factors so that change is easier. If you want to make hard changes in your life or your business, I highly recommend this book. Authored by one of the pioneers of positive psychology and his son who’s also a great expert in the field, Happiness: Unlocking the Mysteries of Psychological Wealth is well grounded in science. Not quite as immediately applicable as The How of Happiness, this is still a great book I highly recommend to all. This book, Shine: Using Brain Science to Get the Best from Your People, for managers is a well written synthesis of various studies organized around 5 themes: select, connect, play, grapple & grow, and shine. If you want a fairly straightforward summary of the science and how to apply it to management, this is a good choice. In all likelihood you didn’t decide how to get ready for the day today, you just acted out of habits. You showered, got dressed, and ate breakfast in whatever way and order you always do. The Power of Habit: Why We Do What We Do in Life and Business is very helpful for getting us to examine which habits we have, how they are made, and how they can be changed. This book is well-written and practical, especially for the first half. When the book later turns its attention to social habits and societal change, the connections and evidence are less strong. Still a recommended book, especially for those looking to build new habits or change old habits. For roughly 30 dollars and 30 minutes, StrengthsFinder 2.0 and included questionnaire will likely provide helpful insights into what you do best and enjoy most. This is based on extensive data from the Gallup organization. Although I consider myself introspective, I learned things about myself in my 40’s that ended up contributing to my decision to change careers. The author of Happier: Learn the Secrets to Daily Joy and Lasting Fulfillment taught a very popular course at Harvard, on how to be happy. It’s a bit more lifestyle and story oriented than data oriented; if you want more personalized accounts of how to apply the science, this is a good choice for you. For those wanting to go deeper on finding strengths, Go Put Your Strengths to Work: 6 Powerful Steps to Achieve Outstanding Performance goes beyond the standard labels produced by StrengthsFinder 2.0, to help you get more specific about your individual strengths and how to act on them more often on the job. The Happiness Advantage is helpful to many people. 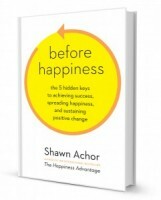 Overall, it’s a very good and practical book on achieving more happiness at work. However, at times Achor over-states the science. I suggest applying healthy skepticism to the book and as always, experiment so you know what works best for you. Many of the examples come from the author’s experience at Harvard, not the business world.